At Manning Equine we offer CFIA approved quarantine facilities which can accommodate the importation needs of stallions, mares and geldings of all ages and breeds. 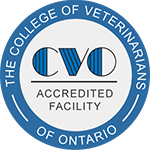 Our veterinarians work closely with CFIA veterinarians to ensure all testing is done with the utmost efficiency, making your horse’s quarantine time the least amount possible. Breeding test mares are available for use for stallion importation guidelines.